Our client's purchased a new home in coral gables that included an extension of the home the previous owners had built. A den, with a narrow hallway and no door was added to the main living room. Our client's wanted to use this as both a den, and a guest room, but the space allowed for neither a pocket door nor a traditional door, due to the hallway and wall corners. So what was there to do to offer privacy to the room? Well - a barn door of course! 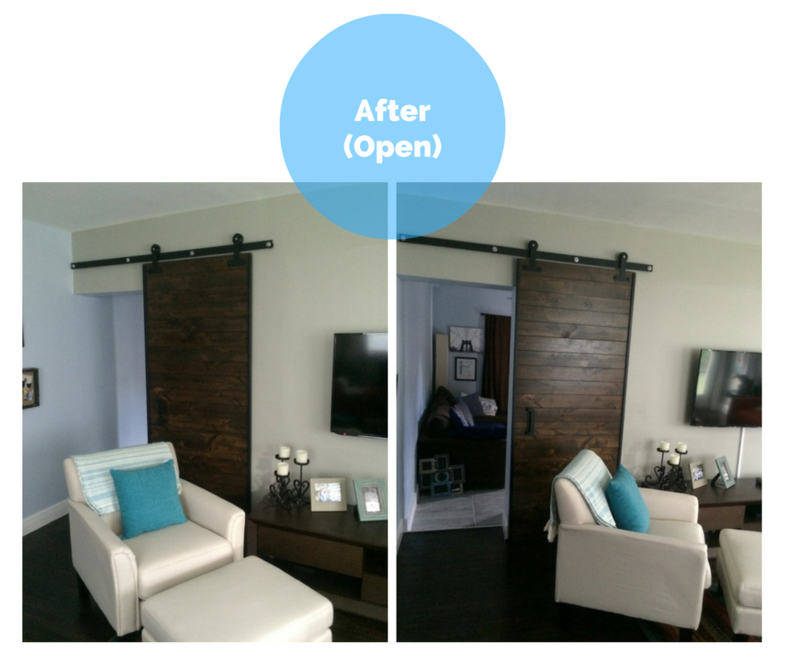 Check out the before and afters of this Barn Door Design in Miami!